Please, respect that vine-farmers do not only sell their products but do vine-farming and wine making works, as well. 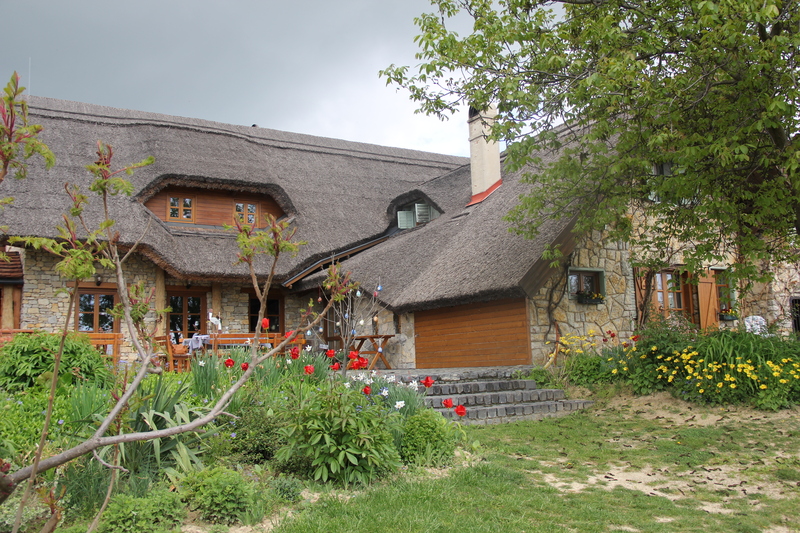 Szabó and Son Wine Cellar welcomes guests all year round, but due to the character of farming, except for summer season, you can purchase from them or take part in wine tasting only after a preliminary appointment has been made. Their accommodation are winterized, therefore, after booking, they are available all through the year. On the spot, at wine tasting events, in Szabó and Son Wine Cellar Shop in Balatonfüred (6 Köztársaság Square, Balatonfüred), at 7/b Damjanich Street or in certain groceries and restaurants. Contact us by phone or you can send your order via e-mail. Szabó and Son Wine Cellar is located in Nivegy Valley in Balaton Uplands. In the family-run vine-farm, the tradition of wine-making can be traced back to the 18th century. The family do farming on 15 hectares, but they also make smoked ’mangalica’ pig meat themselves for their Village Guests’ Table. Typically for them, they combine their menu with game, which shows the hunting opportunities in the area. Wine lovers and those who are interested in farming can take part in a vine-farm tour by tractor. Then, after visiting the cellar, groups of 10 might spend the night in their rooms in this picturesque land with beautiful view. Juhfark, one of the vine types of Nivegy Valley, is a Hungaricum, which was replanted to Somló Hill from here after the great vine-pest. Not only vine-farming, but the thatched Wine Cellar, fitting into the landscape also prove the honour to the land, the wine and the traditional way of farming. The family property might take up maximum 40 people. 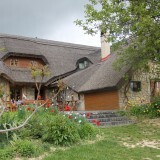 This close, intimate, enchanting environment with Balaton view diffuses peace and harmony even in summer peak season. 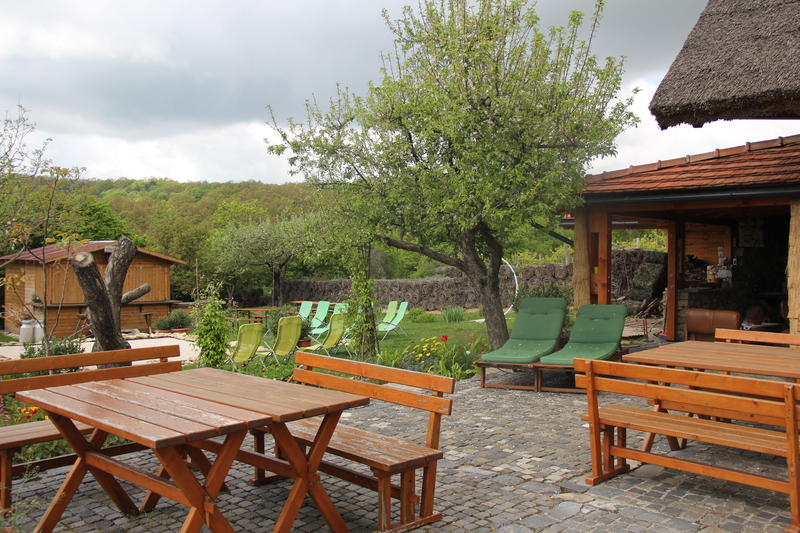 Not only is it an ideal place for an occasional wine tasting, but for a scene to spend our holiday in a calm atmosphere where we can get filled up and discover the area.